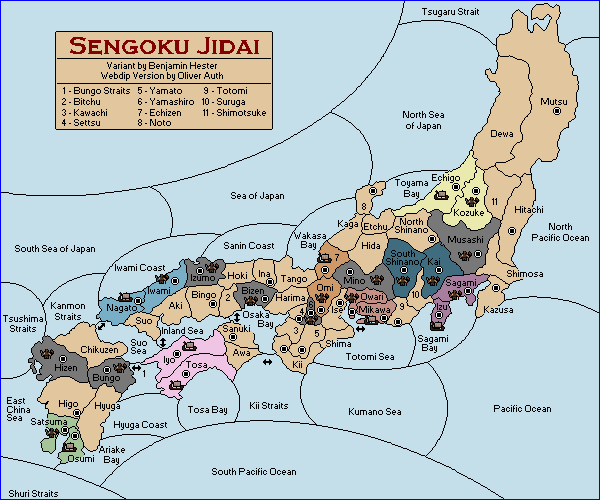 The Sengoku Variant is a historical transplant to medieval Japan. 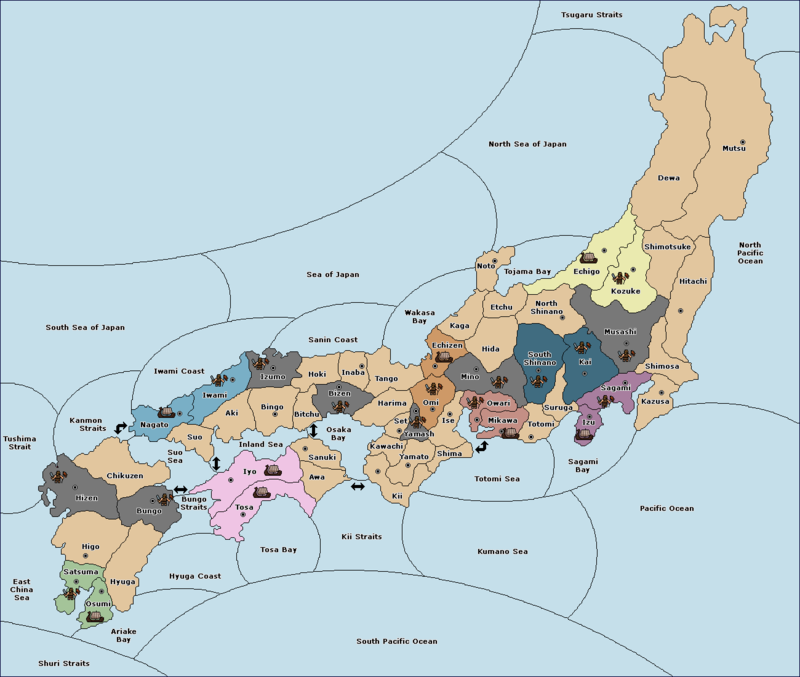 In addition to the 8 players of this variant, there are neutral territories, represented by black supply centers on the map. Each neutral territory is occupied by a neutral army that never does anything but hold. These armies may be supported by other players. They are disbanded immediately if dislodged. Victory is declared when one Daimyo has control of 25 SCs, or all other players concede defeat. There can only be one Shogun. Have fun and welcome to 16th Century Japan!